I’m a web developer (with an eye for design), a puzzle solver who loves nothing better than finding an elegant solution to a sticky problem. 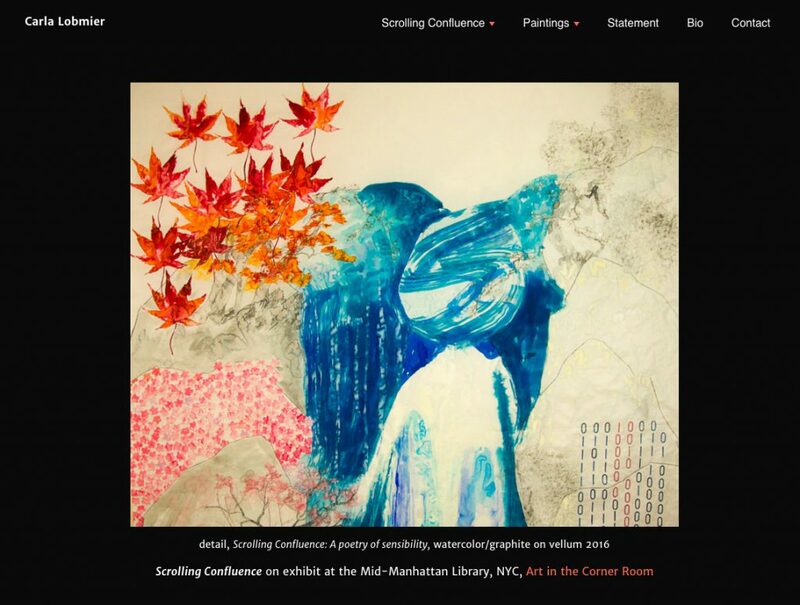 A responsive WordPress site for artist Rebecca Riley. 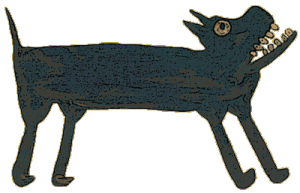 It uses the Foo Gallery and FooBox plugins to create a slideshow for each project. 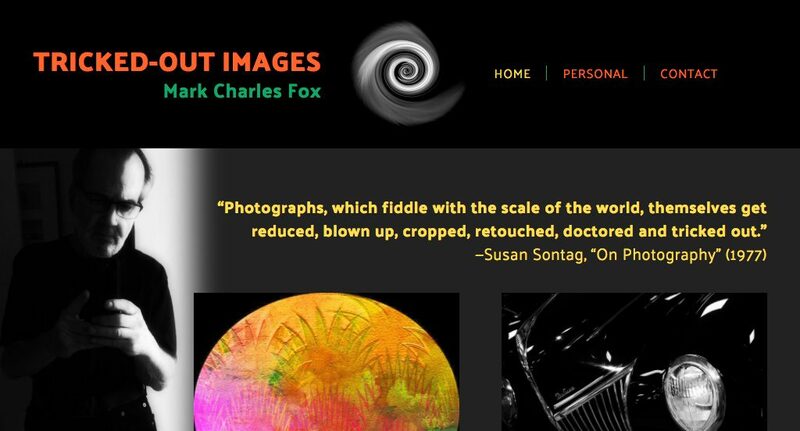 A responsive WordPress site for photographer and image manipulator Mark Charles Fox. This one was all about the large, rich images and the Envira Gallery plugin. 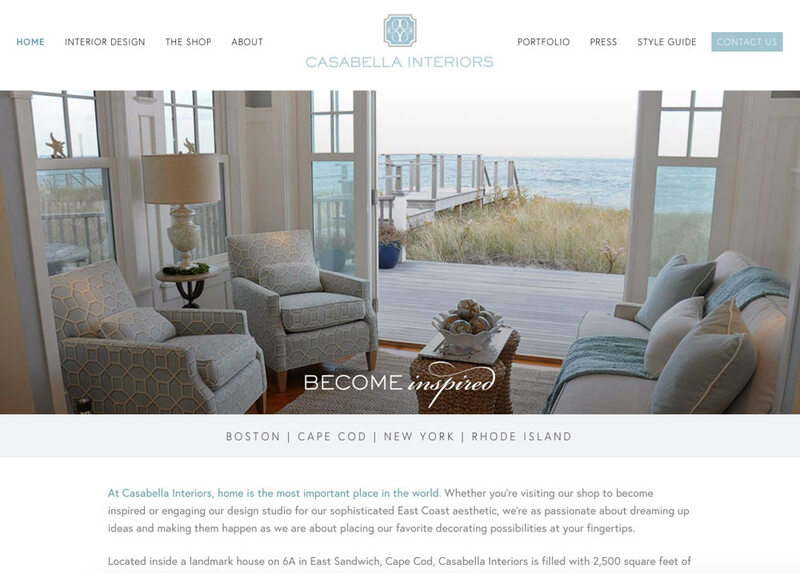 A responsive WordPress site designed by Curio Electro. 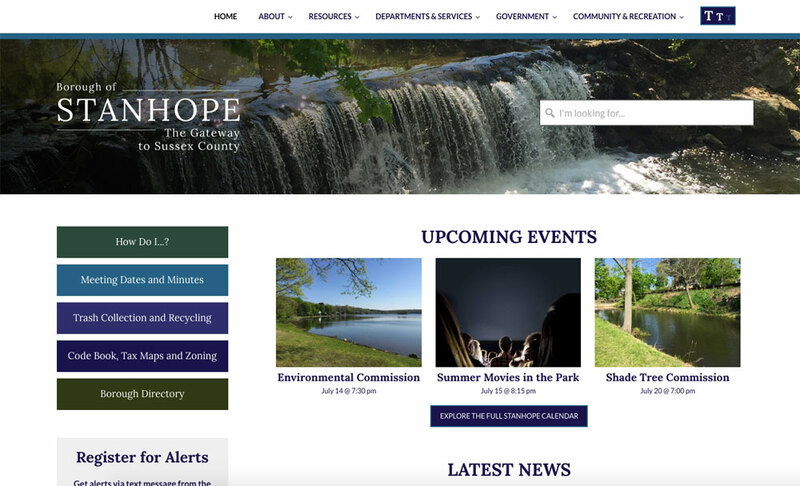 The site was custom-built using the Beaver Builder page builder and the Genesis Framework's PHP hooks and functions, HTML, and CSS. 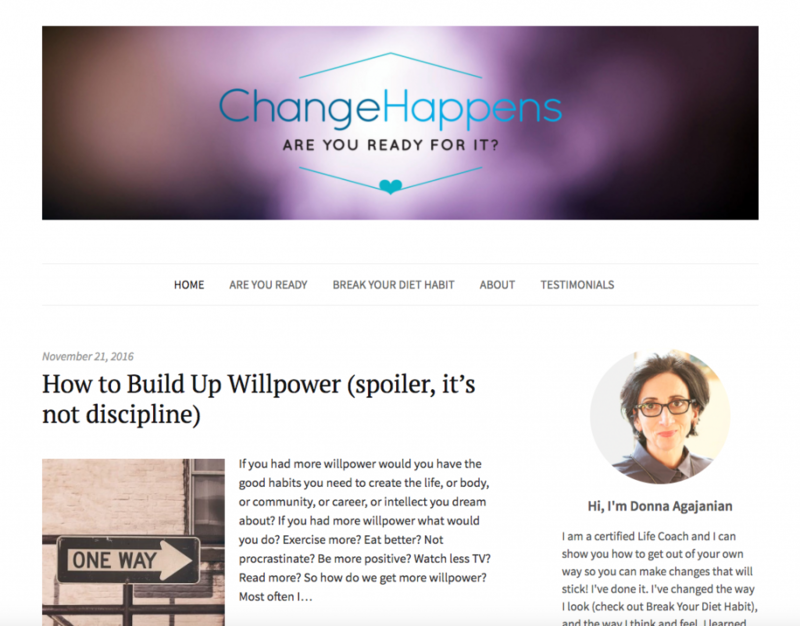 A responsive WordPress site built for, and designed by, life coach Donna Agajanian. There are a number of buttons and forms that integrate with ChangeHappens' AWeber email campaigns. A new feature for a Curio Electro site, the map of New Jersey counties serves as navigation to their corresponding pages. 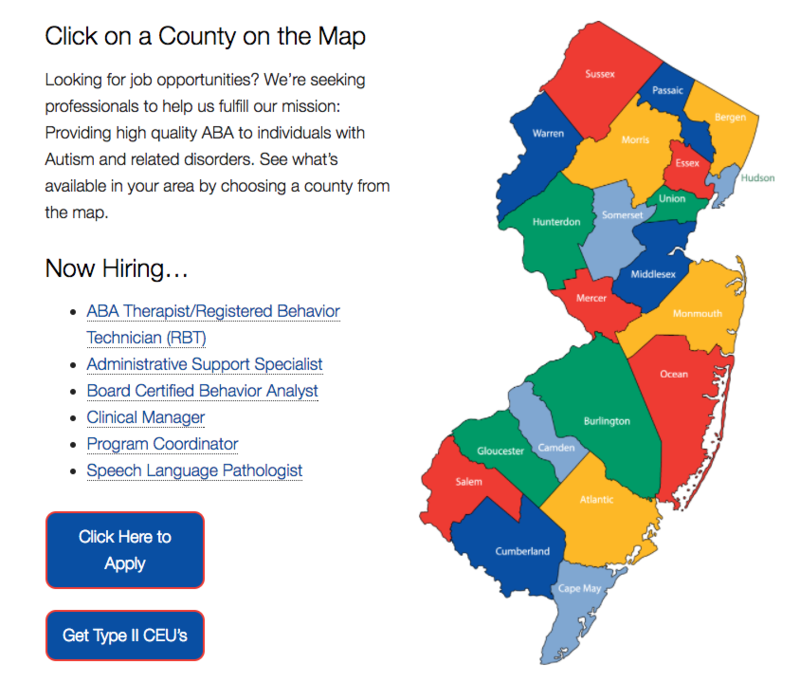 By creating an image map in Illustrator, I was able to achieve a hover effect for each county. A responsive WordPress site designed by Curio Electro. The site was custom-built using the Genesis Framework's PHP hooks and functions, HTML, and CSS. A responsive site built for fine artist Carla Lobmier, using the Zurb Foundation 6 framework, Gulp, Bower, HTML5, and Sass-flavor CSS. A single-page, responsive WordPress site designed by Curio Electro. The site was custom-built using the Genesis Framework's PHP hooks and functions, HTML, and CSS. 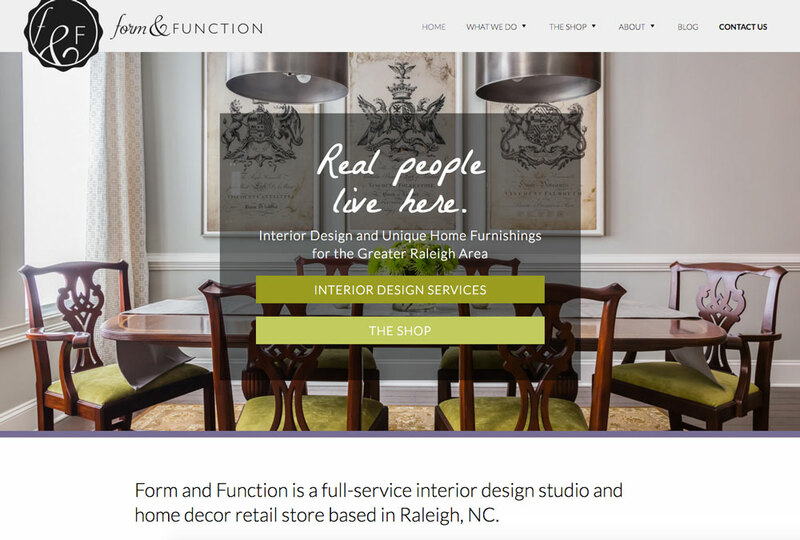 With WordPress, I was able to deliver a site that the client could maintain and add to without having to call a developer for every little thing. Before becoming a web developer, I spent my working life in magazine production—collaborating with designers to make their pages clean and functional, and with editors to facilitate their workflow. All InDesign, all the time, I was the go-to girl in town for a set of templates that had everything they needed and nothing they didn’t, were easy to use, and easy to change. I've worked with Lisa on dozens of projects, both professional and personal. She is my go-to developer. Lisa's nature is aligned with the qualities that make a great collaborator. She is a problem solver, open to exploring new ideas, up to any challenge and determined to get it right. What more could I ask for? Lisa is a fabulous developer. She's incredibly detail-oriented and she understands the rules of design, which allows me to hand off a concept to her without having to explain every last detail. Because of her experience in production, she's been working with designers for a very long time—and it shows. She's personable, extremely reliable and cares about the end product. An absolute gem. I would recommend her to any designer or creative agency. Lisa is wonderful to work with. She is supremely detail-oriented and has a great eye for design. This is quite important to a fine artist showcasing paintings. High marks for Lisa! 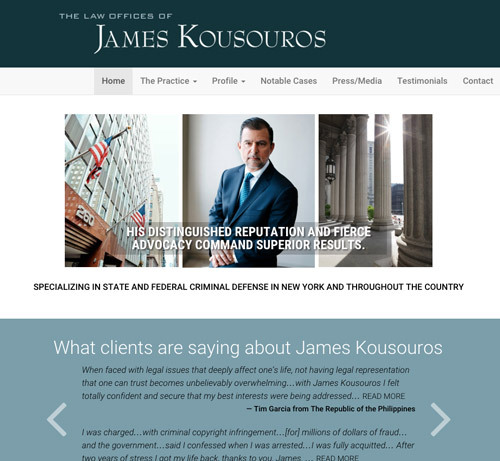 I wanted to modernize my husband’s website, and I chose Lisa to build him a new one. I chose her despite the fact that she was, at the time, brand new to this work. I picked her because it was clear from the start that her meticulous and analytical nature was going to make up for any deficit she had in experience. And it did in spades! She created an outstanding website that is a huge draw to potential clients and the envy of colleagues. Lisa also brings to the table a thorough understanding of the importance of design and the easy flow of information, and she is always helpful in suggesting additional ways to treat an issue or tweak an element. All this, and she’s a pleasure to work with. I recommend Lisa Wells wholeheartedly. 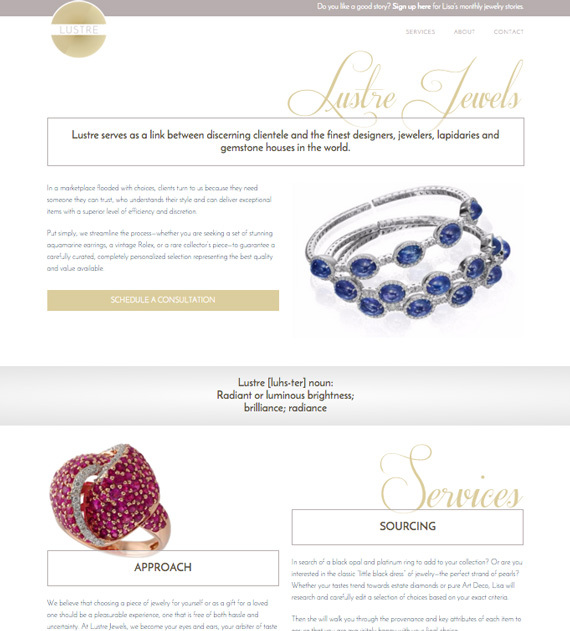 Lisa redesigned and rebuilt an existing website with which I was happy, but that needed updating. I had to make a lot of decisions about aspects I did not understand, and she was a patient and thorough guide throughout the process. She met our agreed-upon deadlines at the agreed-upon price, and I was and remain delighted with the result. Diligent, good-humored, and focused, Lisa is a hard worker who goes above and beyond as her standard modus operandi.